The founder of diamond dealer Hari Krishna Exports is giving away about 1,200 cars and 400 apartments to 1,700 of the company's employees. Dholakia told CNNMoney the lucky few were chosen from among 5,500 staff for showing exceptional "loyalty, skills and value addition" over the past year. He estimates the gifts will cost about $7.7 million. 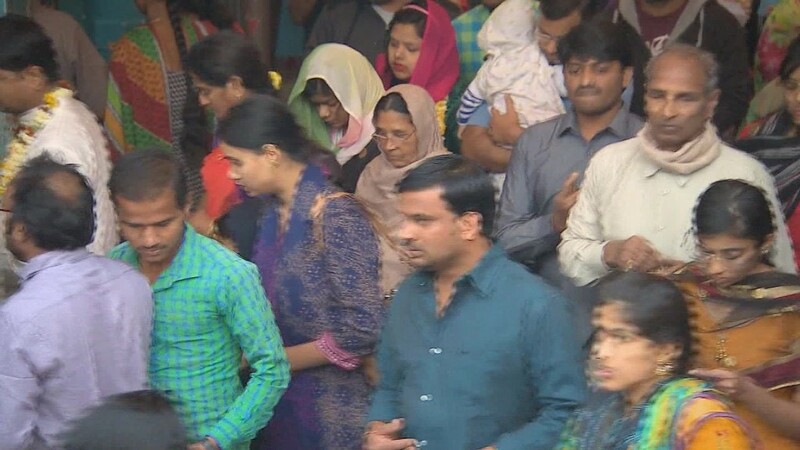 Diwali, the biggest of India's many Hindu festivals, is a time of celebration and gift-giving much like Christmas. Employers often give their workers bonuses, presents or — more often than not — boxes of Indian sweets. But Dholakia, dubbed India's most generous boss, has been setting the pace for years. He says he gave three of his top employees their own vehicles 20 years ago, and he has run various incentive programs ever since. Two years ago he gave away 200 apartments, 400 cars and 500 sets of expensive jewelry to 1,200 employees. Now, as the company he founded with three brothers celebrates 25 years in business, he's even keener to let his staff know how much they're appreciated. "We have exports worth [$700 million] across more than 70 countries, but nothing is more valuable than our employees," Dholakia says. A recent survey found that Indian employees prefer to receive cash or gift vouchers for Diwali, followed by gadgets and household items. Apartments and cars are generally not an option, of course, but Dholakia believes it is money well spent. "I don't have words to describe the happiness we see in them, and the happiness we feel," he says. 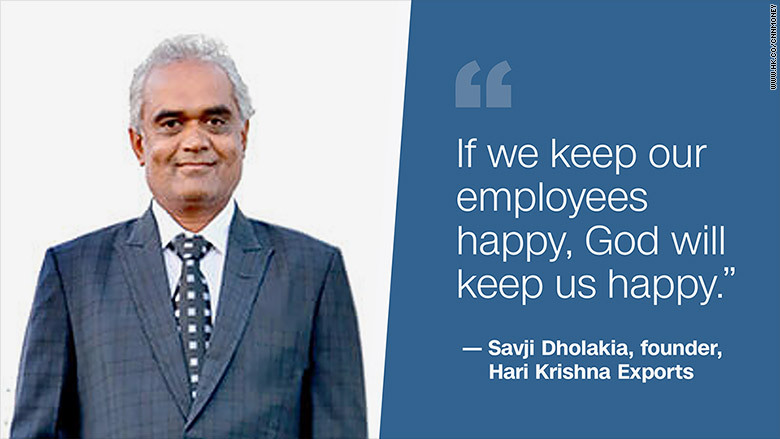 "If we keep our employees happy, God will keep us happy."